Mestre Silvinho has been leading the ICAF Seattle branch since 2004. 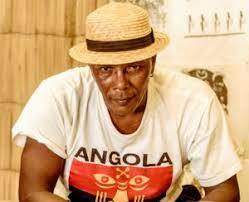 He started Capoeira Angola in 1986 with Mestre Rogerio Soares at the Grupo Iuna de Capoeira Angola. He started to train with Mestre Jurandir in 1992 and co-founded the ICAF Belo Horizonte group with him in 1996. Now living is Seattle he teaches Capoeira Angola classes in colleges, public and private schools such as Seattle Amistad School, Western Washington University and Rainier Beach Community Center. Read more about Mestre Silvinho’s leadership style and the group in Seattle check on Njoli Brown’s thoughtful blog post. 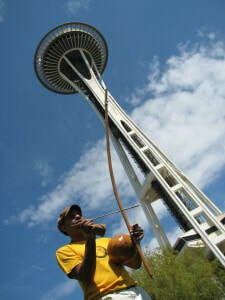 Mestre Jurandir founded the ICAF Seattle chapter in 1997, after leading the group in Belo Horizonte for over 10 years. He worked tirelessly to bring the rich traditions of Capoeira Angola to the Pacific Northwest through classes, workshops and conferences. He is revered for his musical skill and his uniquely playful and witty game. Mestre Moraes is the founder of Grupo Capoeira Angola Pelorinho (GCAP) in Bahia, Brazil. He was an uapollogetic advocate of revitalizing Capoeira Angola in the 1980’s and has graduated many of the leading Capoeira Angola Mestre/Mestras who are teaching students around the globe. Mestre Joao Grande studied directly with Mestre Pastinha and was one of few students who were chosen to become Mestres and carry on his legacy. Mestre Joao Grande moved to the US in the 1990’s where he has established deep cultural recognition and respect at his school in New York City. 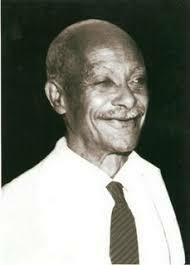 Mestre Pastinha (1889-1981) is considered one of the most influential Capoeira Mestres of modern time. He started his first Capoeira academy in 1941, just years after Capoeira was legalized in the 1930’s after decades of being outlawed as criminal activity. Mestre Pastinha is the founding father of the lineage of ICAF and we pay tribute in November in reverence of his legacy.